Whether you're a beginner or a seasoned athlete, NMF has what you need. Choose from a wide selection of strength machines, dumbbells, and barbells. Bring your headphones and enjoy your favorite TV or sports event on our treadmills, bikes or ellipticals. If that isn't enough, we also offer a spin room, a private cross training room and over 100 classes each month in our group X room (included with your membership). Come in for a tour and get a free 7 day all-access trial and see for yourself!! 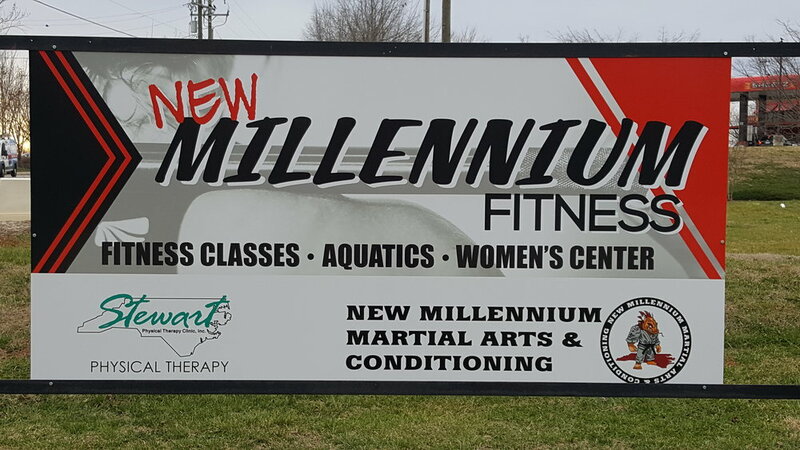 New Millennium Fitness is the area’s premier fitness center for the entire family. Our state of the art facility offers a wide assortment of training equipment and services to accommodate each and every guest. Our facility is clean; our staff is friendly and professional.